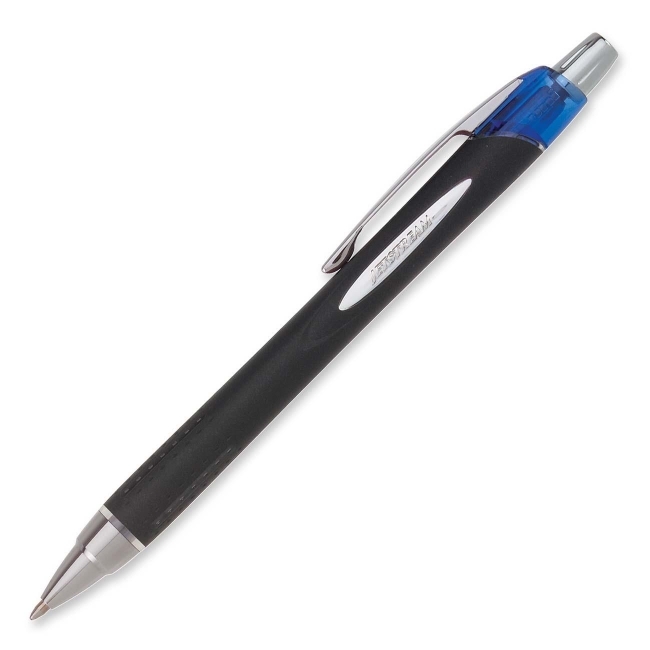 The Jetstream RT writes amazingly smooth like a gel, yet dries quickly like a ballpoint. Retractable pen contains Uni Super Ink, a specially-formulated ink that helps prevent a common form of check fraud known as "check washing." Embossed grip provides maximum control. Quick-drying ink helps avoid smearing and is fade-resistant and water-resistant. Metallic accents give Jetstream an unparalleled statement of style.